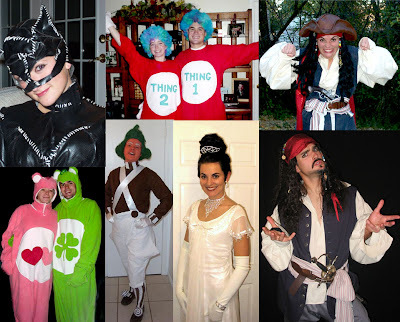 Those of you that know me, know that I love any excuse to make a costume. I feel that we need a few more opportunities throughout the year to wear them, but I suppose I will settle for Halloween. I made the goal in Jr. High to go Trick-or-Treating every year of my life, and so far I have never missed a year. Silly goal I know, but I was always taught that setting goals and working to achieve them is a good thing! 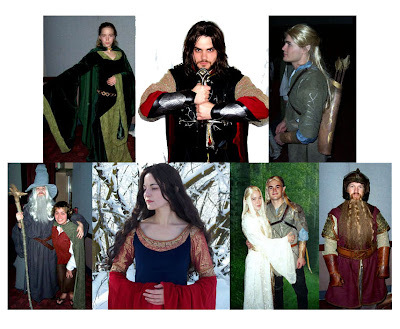 Here are pics of some of the costumes I have made over the years, I would love to hear which one is your favorite! I just thought I'd post something for you to look at while I busily sew. 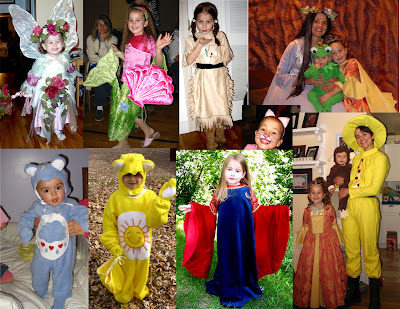 Check back for photos of this year's costume madness! 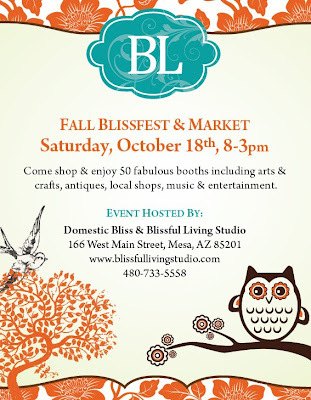 As Part of the annual Blissfest in Mesa, there will be carnival and auction for the Nielson family. The Nie Recovery Carnival is a fundraising event for the whole family. 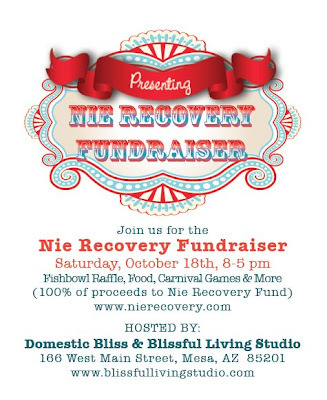 It is hosted by the Blissful Living Studio and proceeds are going to the Nie Recovery Fund. For those of us living outside of the Mesa Arizona area, there are many wonderful items being auctioned off online at the Blissfest Auction. There are 3 of my Nie Prints available online, and another 7 at the actual auction which will be held this Saturday. no comparison. We are still thinking of you Nie. For my daughter's 8th birthday, and as a baptism gift, I painted her this picture. She loves it, bless her heart, and has it hanging by her bed. She noticed the hands on the clock straight off and asked if it was also a reminder to get to bed on time. That girl doesn't miss a thing! 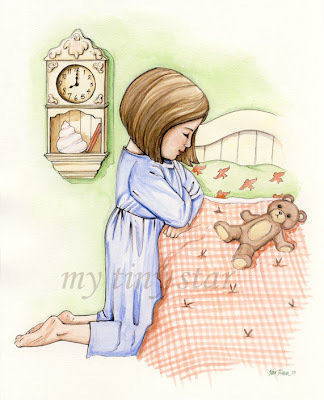 She says the sweetest prayers, and always remembers what is important. Happy Birthday sweet girl, I am so proud of you! I used watercolor, ink and colored pencils on smooth bristol board. There is a story behind the shell sitting on the clock shelf. Prints will be available in my shop soon. Thank you for your bids and links and support! What a lovely bunch you are. 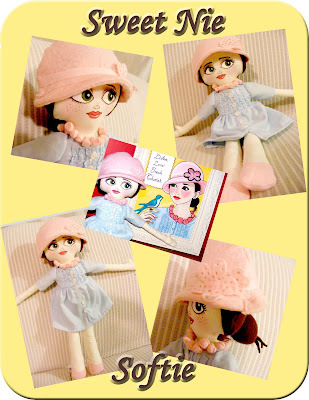 Here are the auction winners: Jenny won the Nie doll, and Jenny's sister who is in China won the "Sweet Nie" painting. Make your payment to the Nie Fund, email me your paypal receipt with shipping info, and I will send your Nie creations on their way! The random winner of the custom doll (taken from all those who linked back to this auction) is: The Smith Family! 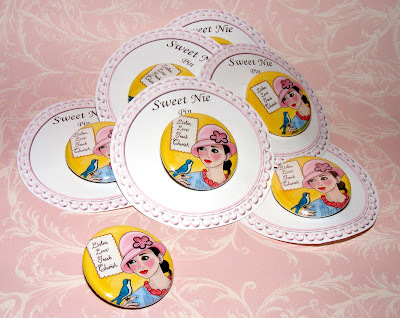 To all of those who bid on these auction items, I will be emailing you for your mailing addresses so I can send off your free "Sweet Nie" pin as a little thank you. Update! Nie Nie Auction and GIVEAWAY! The silent auction for my original painting"Sweet Nie", and the Nie softie/doll will be held rain or shine (tee hee) Thursday, October 9th. Bidding starts at 8 AM PT or 9 AM here in Utah. Last bid taken at 10pm PT. "Hi Star, I love you, and I want to bid $65 on the Nie Softie"
or even simpler... "Nie Painting - $75"
Please include your email address with your bid, or some way for me to contact you at the auctions close! Everyone who bids will receive a "Sweet Nie" pin. The painting is acrylic and ink on canvas, and measures 8"x10"x1". The sides are painted, so it can be hung with or without a frame. I have been deeply touched by the Nielson's story, and inspired by Nie and her fun and loving ways. She is so real, and I love that she takes time to enjoy all the little moments of life. 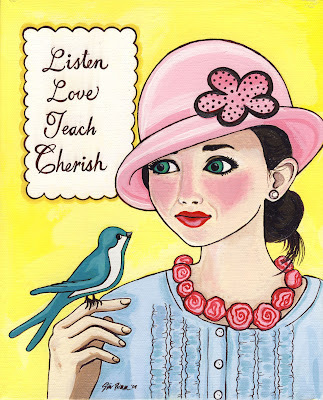 The words listed on this painting were taken from this post on her blog, and her darling outfit was taken from here and here. I imagined this painting hanging where it could be seen often, as a gentle reminder of how we can be better moms, wives, daughters, and friends, how we can be more like Nie! Prints of this painting will be sold to help raise more money for the Nielson family, but you have the chance to own the original! 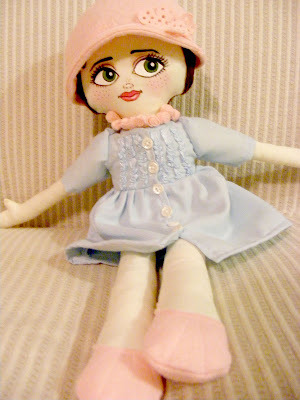 The Handmade Nie Softie/Doll, is made of cotton fabric and wool blend felt. 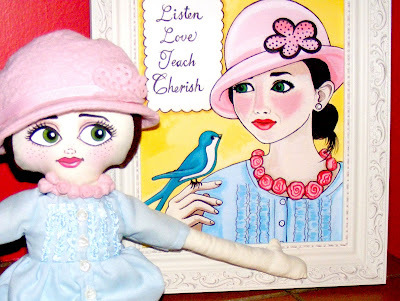 Her hat necklace and dress are removable, but please keep our little Nie Nie modest. Her face is hand-painted, and the rose necklace is made of wool felt. She is about 19 inches tall, and I just love her sweet freckles! All proceeds, I repeat, all proceeds go to the Nielson Family. If you don't know the Nielson's story, go here. Payments will be made directly to the Nie Nie Fund by the high bidders. 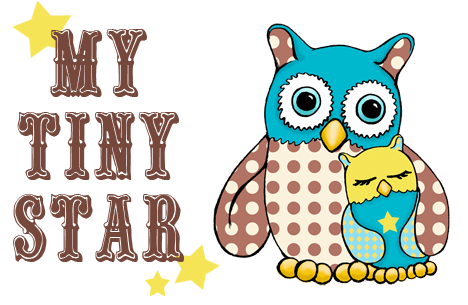 Spread the word folks, and you could win a custom made softie/doll similar to the one of Nie (but I won't make another Nie), which will be handmade by me in the likeness of your child, yourself, your pet monkey or whoever you choose! Please share your blog address, and please link to this auction/giveaway. Thank you everyone for helping spread the word!